I created this box along with some ABC cookies last summer and I just realized that I never published the box. So here is this box. I made some of these layered boxes before, in different shapes: heart, oval, hexagon, star. They had one thing in common: I used a set of graduating cutters for them. What if you have a gorgeous shape you want to use, but only in one size? For the sides you can use two sizes of a generic shaped cutter (circle, oval, square - whatever is closest in shape to the cutter you want to use for lid). 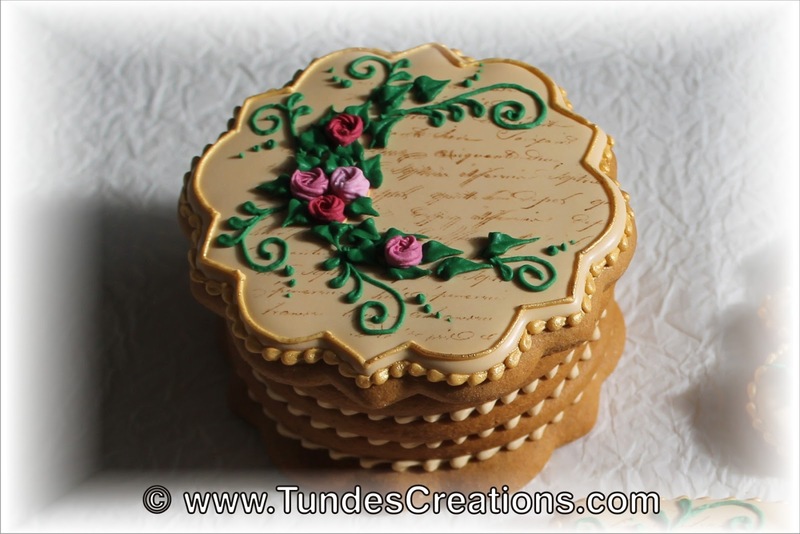 For this box I used a great plaque cutter for top and bottom and circles to cut out the sides of the box. Did you ever make a cookie box?